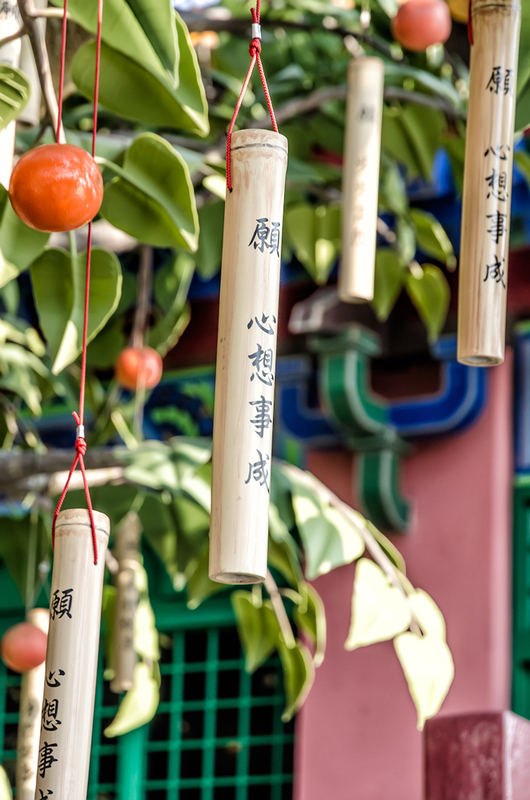 Disneyland isn’t the only resort that calls Lantau home. 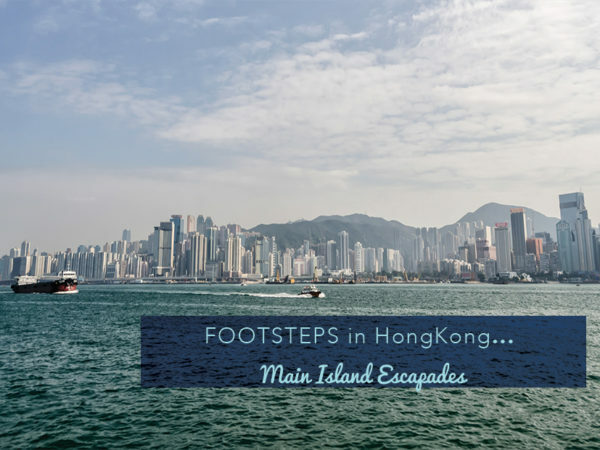 Out here, you will also find the Big Buddha and the highest peak in Hong Kong, Ngong Ping Village which also call this island their home. 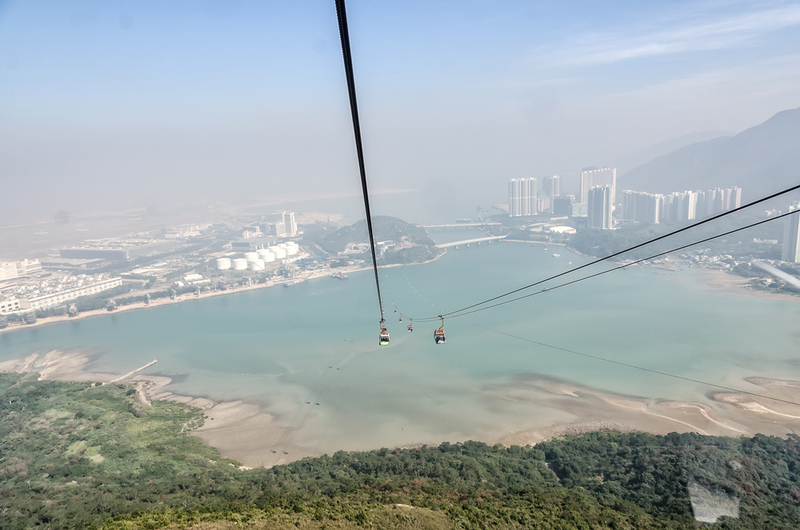 We chose to visit this attraction by riding up on the cable car as opposed to using the bus or a taxi, which was a great choice because we were left breathless on the ride, being blow away by the sweeping panoramic views of Lantau Bay and the harbour below and the city and airport in the distance before rising high into the misty mountains and arriving 25 minutes later at the entrance to Ngong Ping Village. Rising high above the bay! The Village feels like a tiny version of Disneyland, being peppered with Disneyesque props here and there. 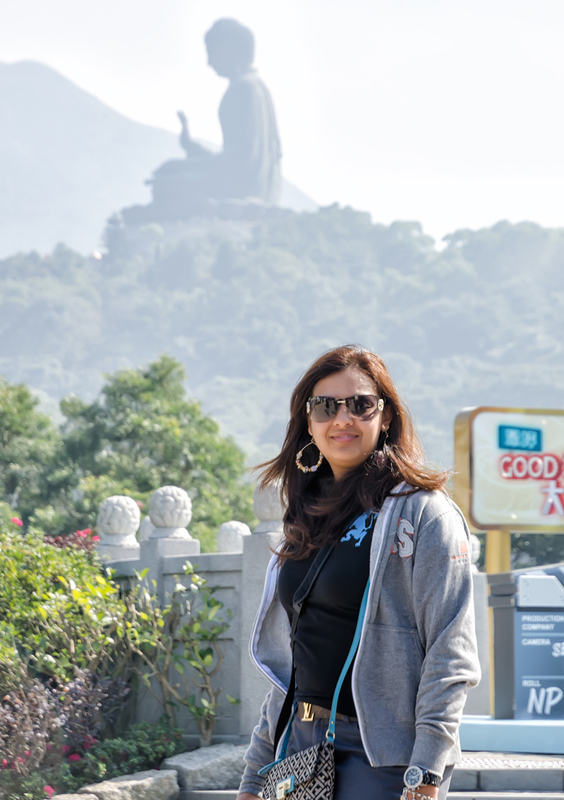 The majestic looking Big Buddha sits in the distance, overlooking the city of Hong Kong with his hand raised in blessing. The main village is buzzing with activity, and has a quirky movie set and other cool props scattered around. I have read that this whole ensemble feels a little “touristy” but touristy or not, I’ll be honest and tell you that I loved it. 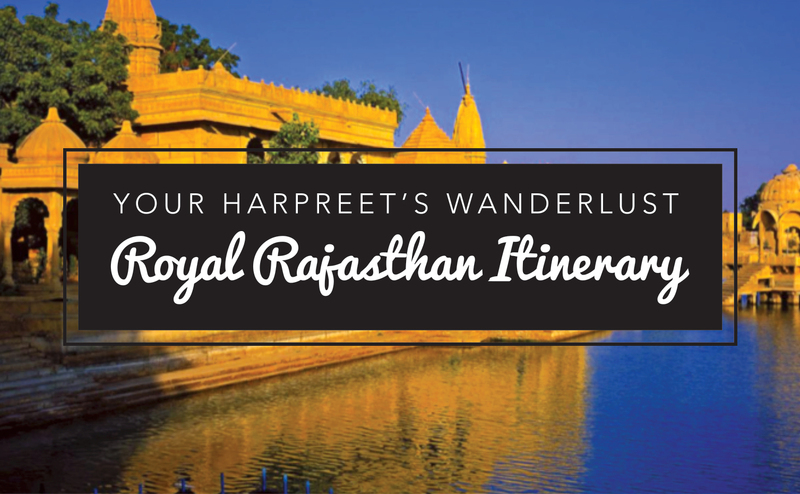 The little shops, tea houses, places to eat at and the cool props all provide a wonderful escape from the humdrum of everyday life and after all, isn’t that one of the points of travel? Plus, there is a wishing tree on site too and in my world where I believe in fairies and magic stardust, well, I am pretty much in heaven out here and thrilled once again, to unleash the inner child in me whilst exploring this Village. Unlike Disney though, there are no queues and the atmosphere really does feel like you are hanging out in a mini village. 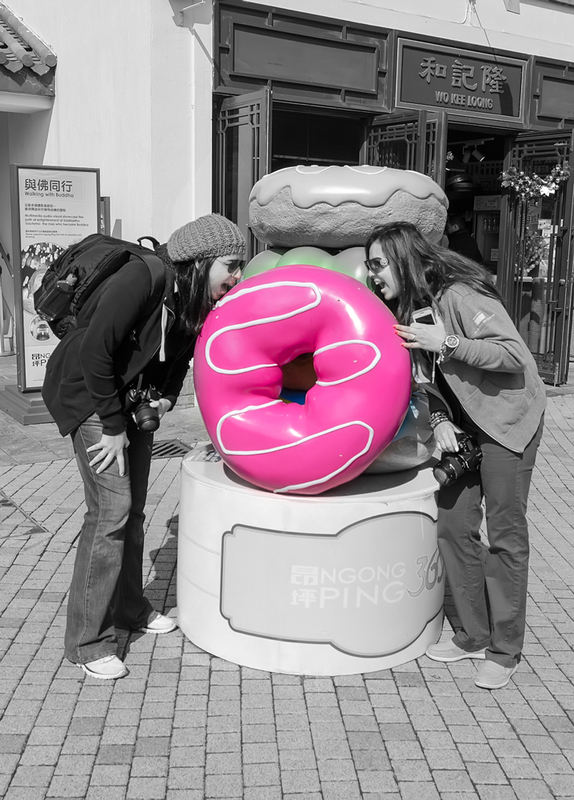 My sister and I behave (much to the chagrin of those that are with) like big kids when we see such cool stuff and are true to the inner child in us as we just cannot resist clowning around, pretending to eat the giant donut, hugging the super huge bucket of popcorn and imagining ourselves as movie directors in the village, having a hearty laugh with all our antics before making our way to the more sombre part of this area: the Big Buddha. Who can resist being a child around these props? Being a big kid, hugging this giant bucket of popcorn! 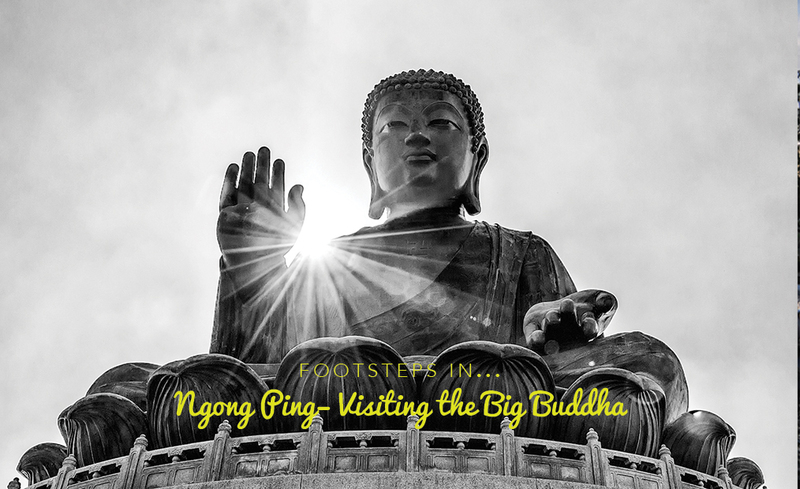 Also known as the Tian Tan Buddha, this colossal statue is about a 15-minute walk away from Ngong Ping Village. We wandered through the village towards the base, being the 268 steps that we had to climb to get to the top. 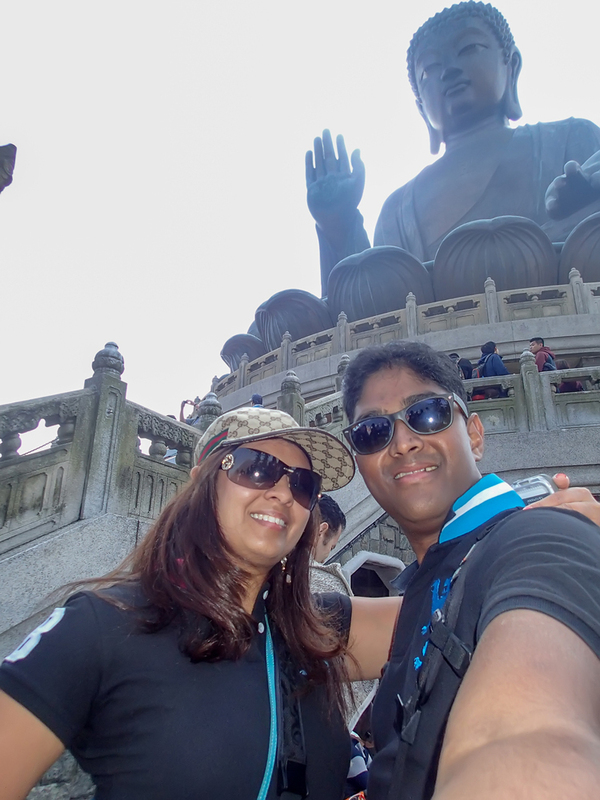 Closer to the Big Buddha! 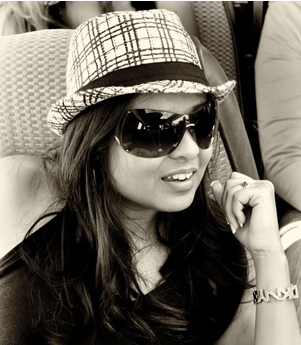 My wanderluster sister grinning at the thought of having to climb stairs again! 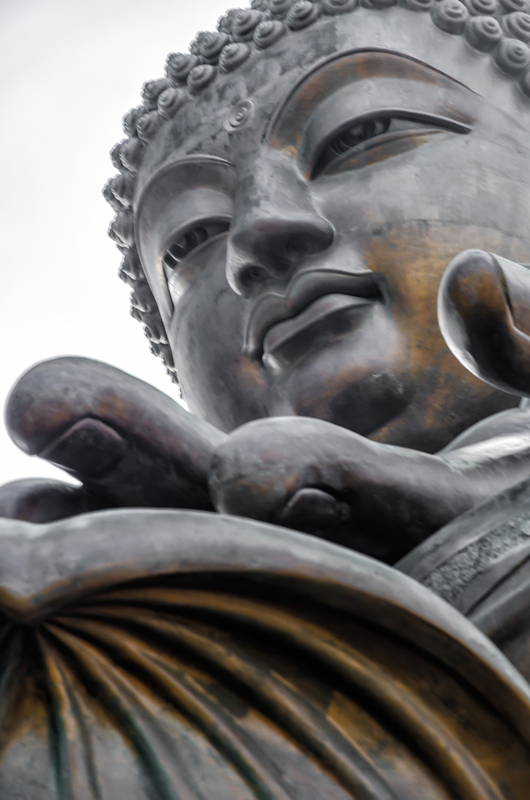 Standing under the 34 metre high bronze Buddha I could almost visualise the blessings pouring out of his hand, and observing those around us we also started to circumnavigate the base in a bid to catch the boundless views across the South China Sea and the rest of Lantau from all angles before going into the pedestal to see Buddhist relics and purchase a tonne of Karma beads. I often wear these to date and get a tonne of questions on what they represent and where I bought this bracelet. Well, those of you that have seen these beads on me and ask- the Big Buddha is where I got them from! Once we had enough of the views at the Buddha we made our way down to the Po Lin Monastery, which is actually a working Monastery and we were quite lucky to catch the Monks in prayer: we were not allowed in to the Hall but they had no objection with us watching. The buildings making up the Monastery are colourful and adorned with gilded ceilings and windows but given that they are used, we couldn’t go inside and had to make do with admiring these from afar. 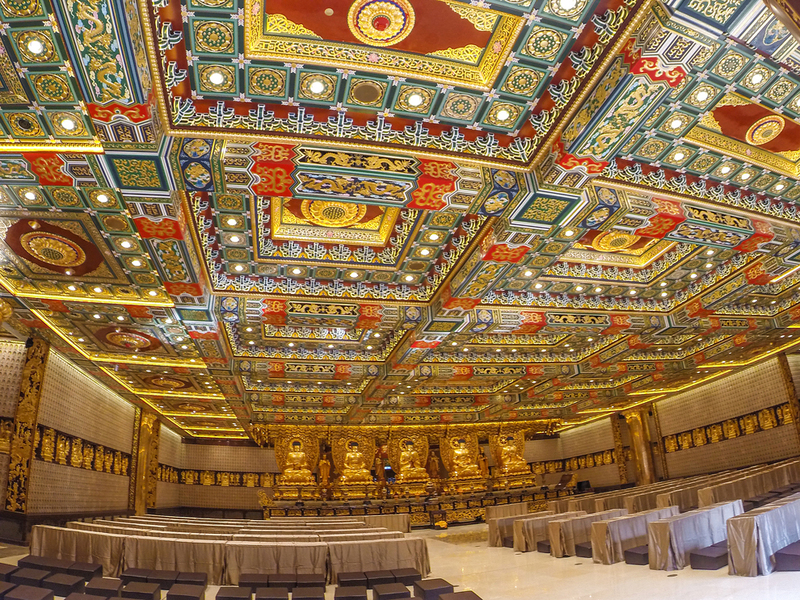 Managed to get this shot of the ceiling using the trusty GoPro! The atmosphere here is so zen and calm. 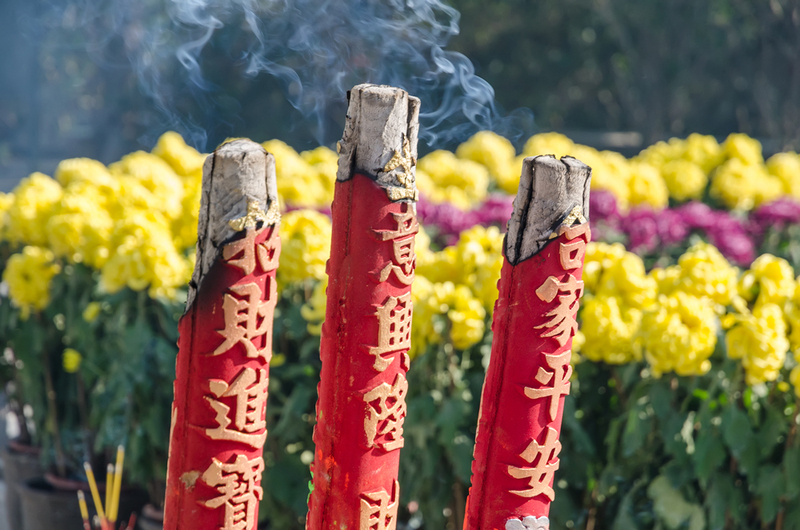 The Big Buddha faces the Po Lin Monastery, the front grounds of which are adorned with trays that have incense sticks burning away. 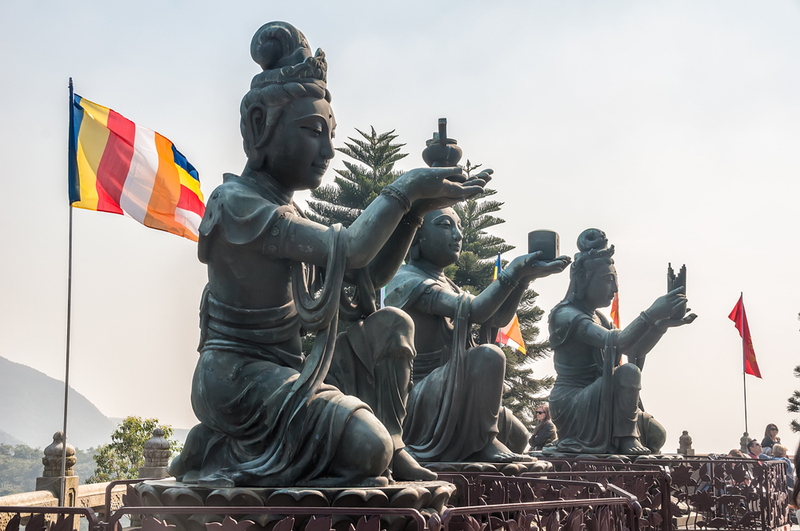 The smoke of the incense, the chanting of the monks and the Buddha with his hand raised all seem to meld together in perfect synchronicity. 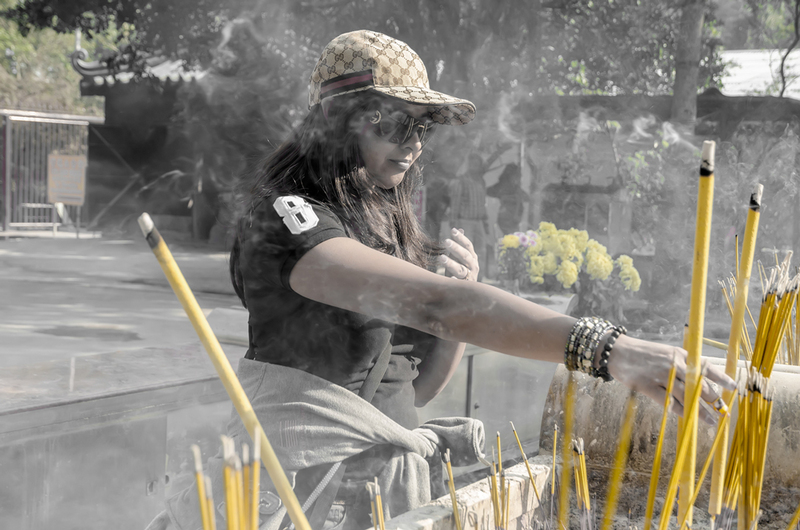 You can buy these colossal sticks of incense and paper money to burn and perform a few rituals of your own, and not being one to give up such a chance I had to get myself a couple and send a wish on a wing and a prayer up to the Heavens whilst facing the Big Buddha. Had to indulge and buy some offerings! We ambled around the Monastery for a while, admiring the architecture and people watching (because that can be pretty fun too) before heading back to the Village for a spot of tea tasting at the Linong Tea House, which is also a great place to stock up on teas and tea paraphernalia though I must warn you, if you are anything like me you will want everything in the shop from teapots to bone china tea cups and all the loose leaf tea your luggage will allow! 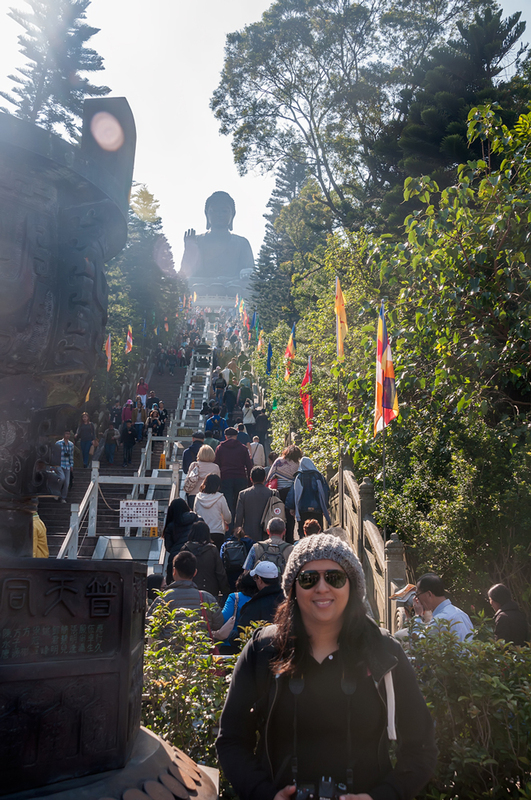 It started to get pretty cold and misty very quickly and this was our call to head back down, but the one thing we hadn’t thought of were the fast passes to go down with and so we ended up spending an hour waiting in line to get a cabin back down to Tung Chung. 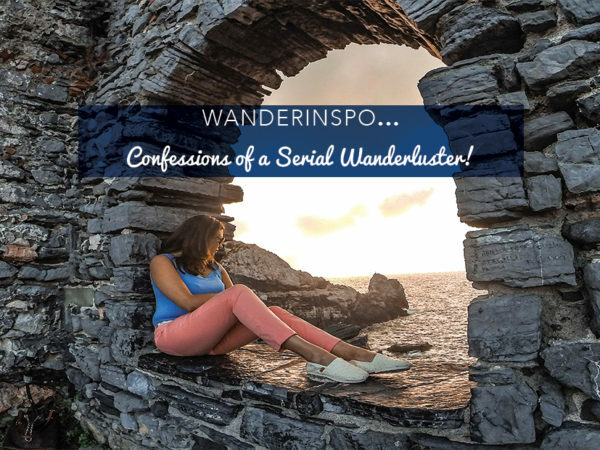 Well, dear Wanderlusters, the benefit of hindsight is that I can leave you with a WanderNugget or two so that you don’t make the rookie mistakes I did! 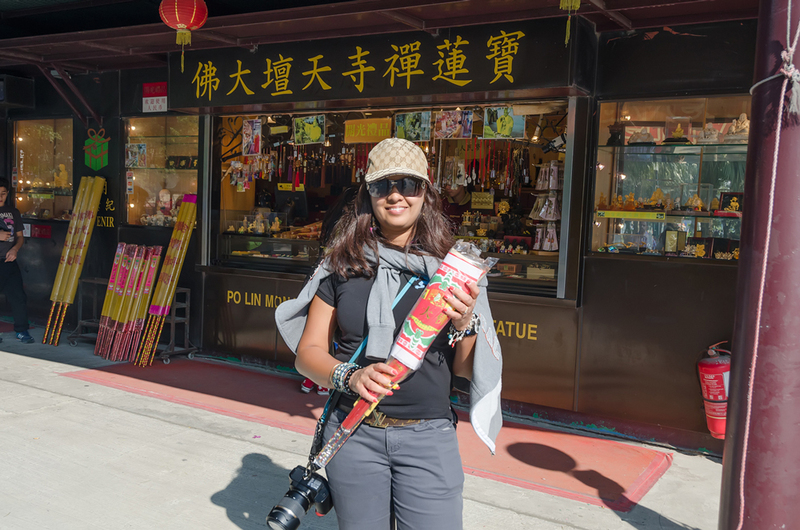 Hope you put this on your list of things to do out in Hong Kong! Thanks for spending a part of your day with me….I really do appreciate you all! 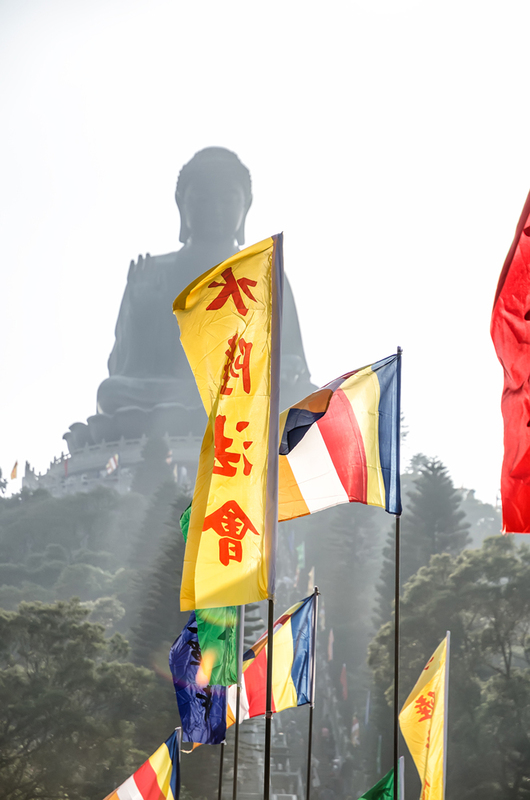 To get to the Big Buddha from Kow Loon, take the MTR at Jordan and transfer to the Orange line at Lai King all the way to Tung Chung, which is the last stop on this line. 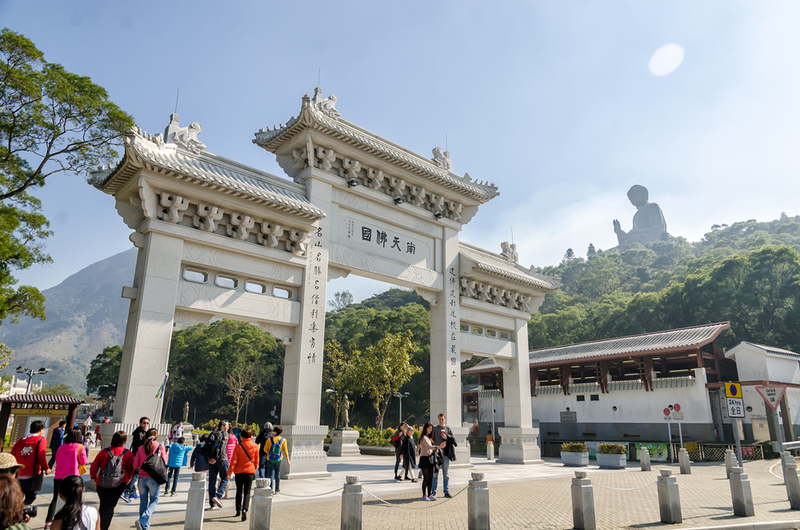 Use Exit B at Tung Chung Station and follow the signs for Ngong Ping: this is a 2-3 minute walk to the cable car counter. If you have pre booked you skip the line and go straight to the line for the cable cars. 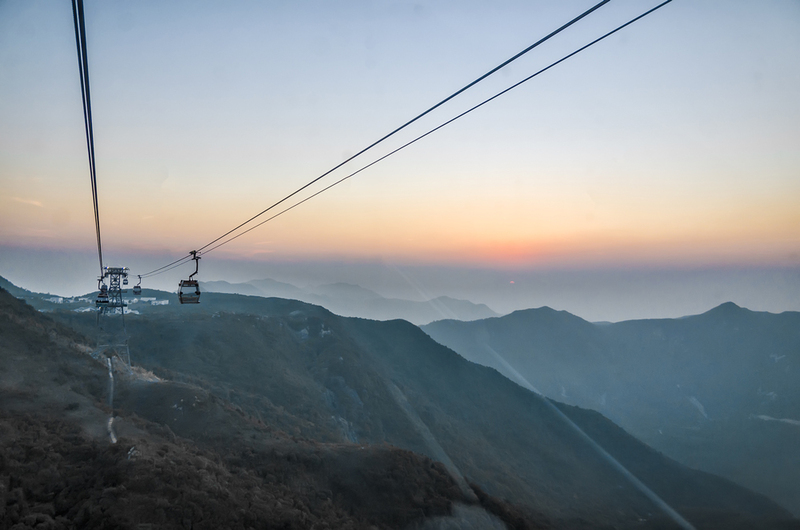 It is well worth pre booking your cable car ticket on http://www.np360.com.hk/en/ and paying the extra for the crystal cabin for both up and down, as these are not so popular and crystal cabin pass holders have the added advantage of a separate line, so you skip the uber long lines both ways. 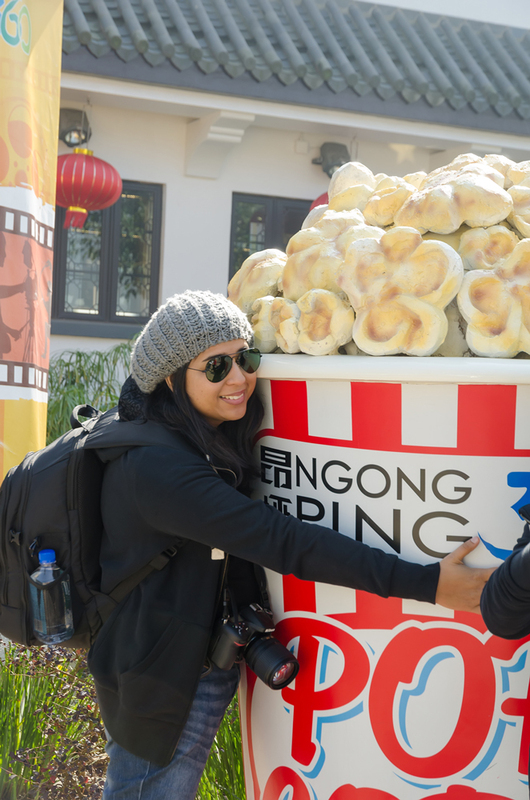 The website also gives you great offers on all the attractions at the Ngong Ping Village and all the information you need on pricing and timings, which may vary with the season. 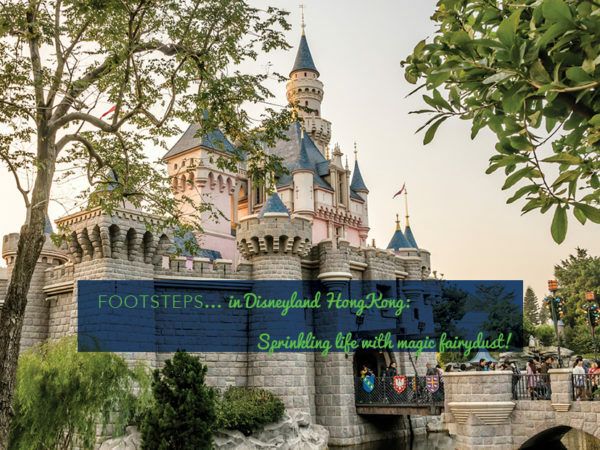 Footsteps in…Disneyland Hong Kong…Sprinkling life with magic fairy dust! 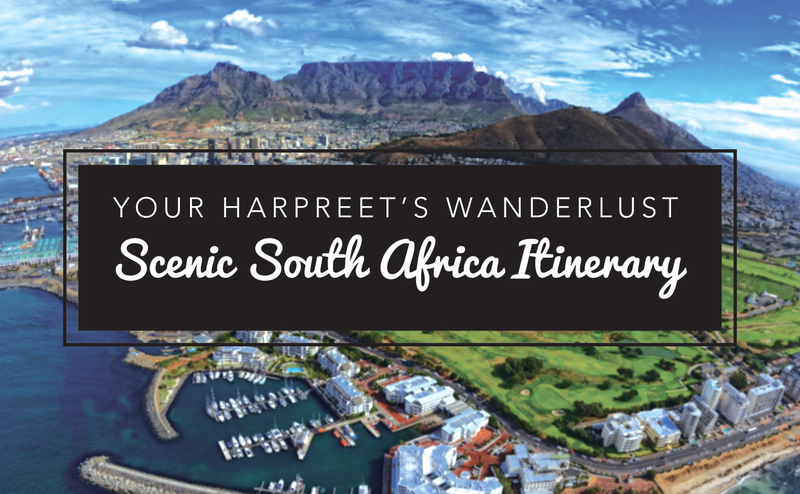 Next post: WanderInspo…Home is where the heart is!